Category 5e unscreened high-density keystone jacks have been designed to meet the need for today’s high-bandwidth applications. 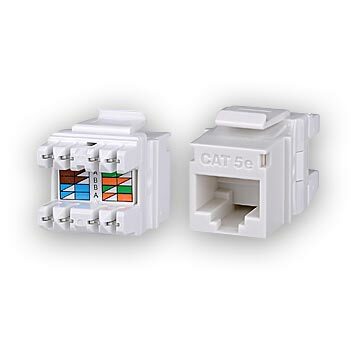 Category 5e connectors are slim in profile for the highest density applications, and are engineered to exceed all ANSI/TIA-568-C.2 category 5e requirements. Special design features allow jack to be terminated with a standard 110 single-position tool or with the Signamax four-pair tool.